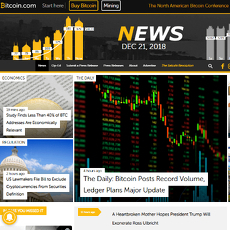 Cointelegraph is the number one shot at getting quick updates, information or news about cryptocurrencies. 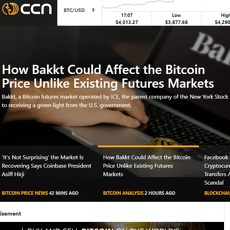 If you had ever thought about knowing what is happening in the world of cryptocurrencies without having to go through Google, Cointelegraph becomes your solution. 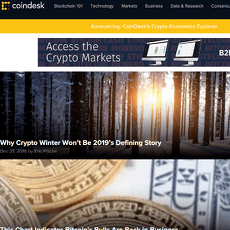 Cointelegraph site gives new information about different types of cryptocurrencie, dividing its front page into; Editor’s Choice and Hot stories. 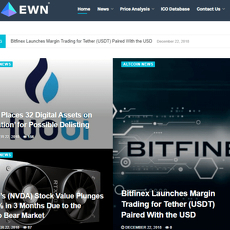 Editor’s Choice specializes mainly in important details like trading activities, recent development etc., while Hot stories display the most read important news on the site (views and comments inclusive). 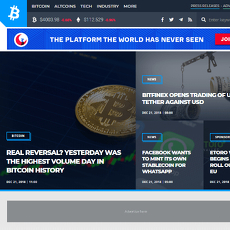 Also, on the site, different cryptocurrencies are displayed with their USD value such as BTC, ETH, LTC, etc. 1. 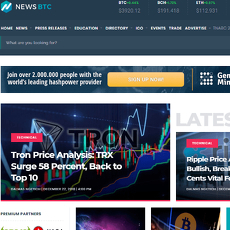 News: Under the news section, every news has been categorized under their type of cryptocurrency or activities such as Bitcoin News, Litecoin News, Altcoin News, Ethereum News, Monera News, Ripple News; even Blockchain News, Scam News and Regulation News. 2. 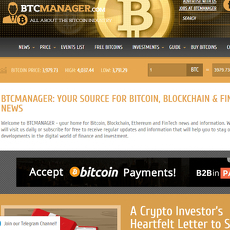 Features: The features of Cointelegraph are; Holder’s Digest, Opinion, Analysis, Quiz, In-Depth and Follow up. Each of them play a role on the site. 4. 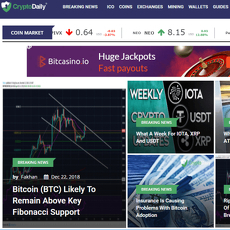 Market Tools: The market tools have been categorized to their type of cryptocurrency and price index like Bitcoin, Ethereum, Bitcoin Cash, Litecoin, Ripple etc. as well as Exchange Rates comparison, Heatmap and Initial Coin Offering Calendar. 6. 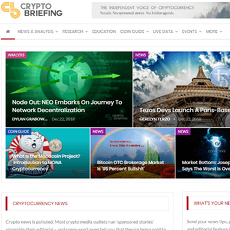 Cryptopedia: Here, explanation about different kinds of cryptocurrency is given. 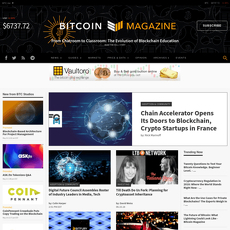 Cointelegraph is simplified and easily navigable. 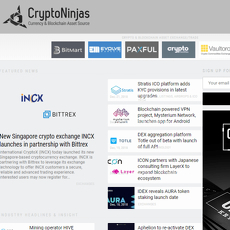 Provides better information on cryptocurrencies. 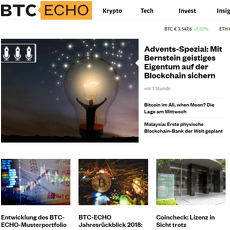 News is available in different languages.